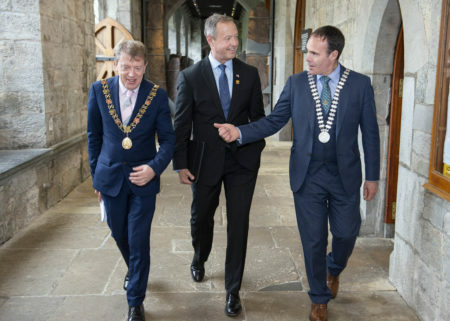 Lord Mayor Tony Fitzgerald, Martin O’Malley and Declan Hurley Cork County Mayor , Martin O’Malley is an American politician and attorney who served as the 61st Governor of Maryland from 2007 – 2015. 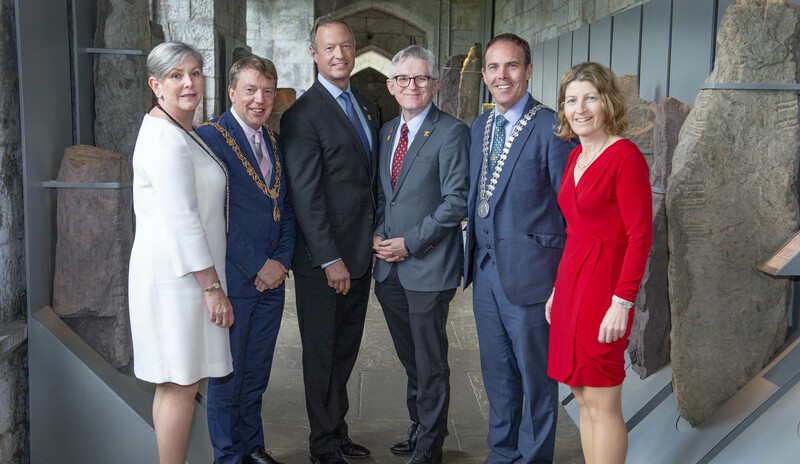 He was a former US Democratic presidential candidate in the 2016 presidential election and delivered a talk entitled ‘Smarter Cities/Smarter Governing’ in the Aula Maxima, UCC. 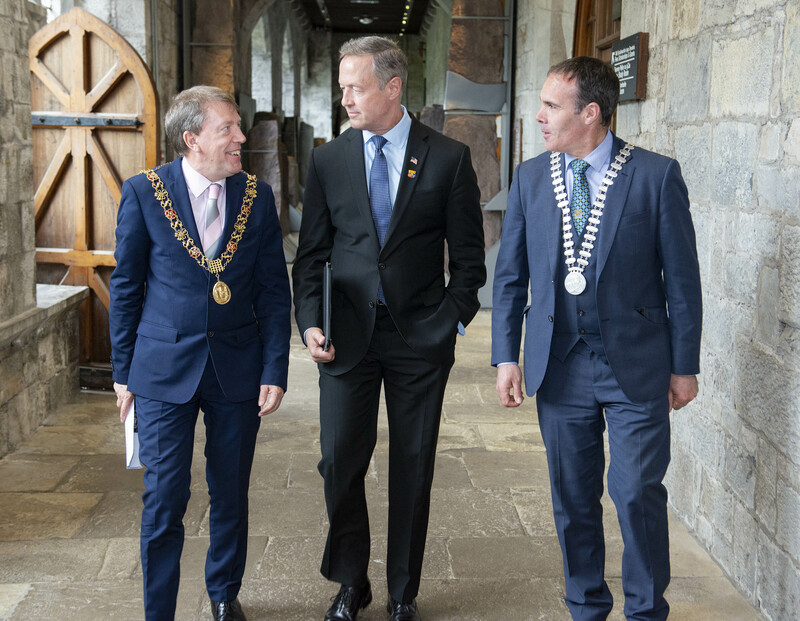 Martin O’Malley delivered a talk entitled ‘Smarter Cities/Smarter Governing’ in the Aula Maxima, UCC. 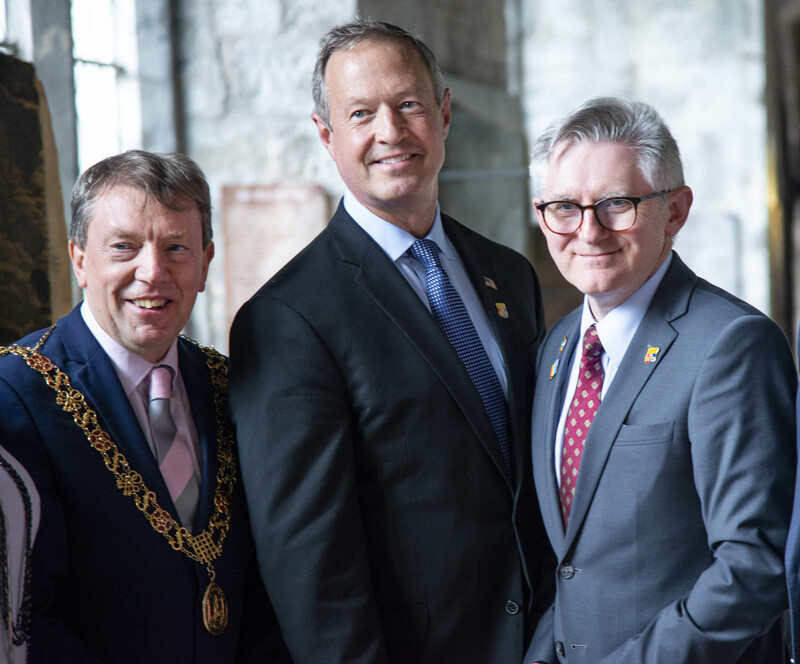 Lord Mayor Tony Fitzgerald, Martin O’Malley and Declan Hurley Cork County Mayor, Martin O’Malley is an American pol itician and attorney who served as the 61st Governor of Maryland from 2007 – 2015. He was a former US Democratic presidential candidate in the 2016 presidential election and delivered a talk entitled ‘Smarter Cities/Smarter Governing’ in the Aula Maxima, UCC. Ann Doherty Chief Executive Cork City Council,Lord Mayor Tony Fitzgerald,Martin O’Malley, UCC President Prof Patrick O’Shea, Declan Hurley Cork County Mayor and Prof Ursula Kilkelly UCC ,Martin O’Malley is an American politician and attorney who served as the 61st Governor of Maryland from 2007 – 2015.